Successful partnerships are part of the foundation of the Power of 5 Campaign and our fight against childhood malnutrition. They vary in size and scope – from individual Amway Business Owners to worldwide organizations. Last week, we had the honor of participating in the annual Ideagen™ Empowering Women and Girls 2030 Summit. 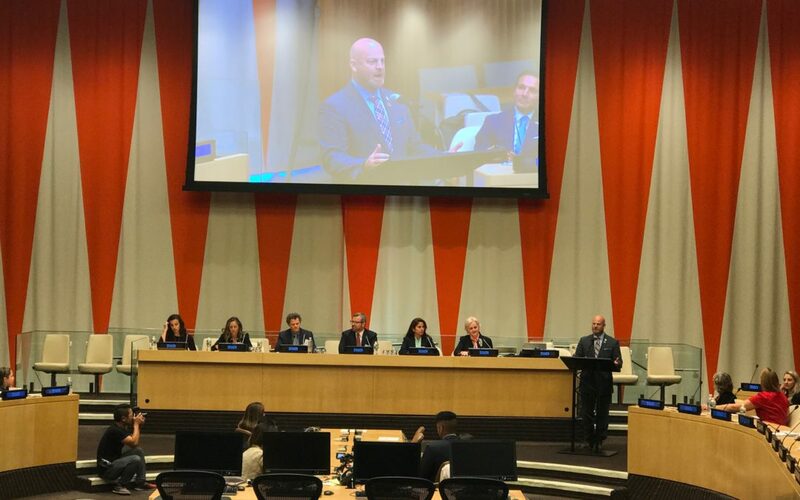 This United Nations conference brought companies, non-governmental organizations, government officials and members of the public sector together to collaborate about how to address the world’s biggest problems. Amway was proud to be a presenting member of this event and led a panel discussion about the importance of empowering women entrepreneurs at every socio-economic level and how this could help improve health and livelihoods for families and communities around the world. Investing in women is a critical part of the success of the Nutrilite™ Power of 5 Campaign and our fight against childhood malnutrition. Empowered women entrepreneurs can help bring their families out of poverty, own a home, improve household health and build wealth. And healthy women ensure healthy babies, children and families. Just like the Power of 5 Campaign partners with individuals and global organizations alike, fighting childhood malnutrition requires the help of people in large groups and small families. One child at a time, one community at a time, we’ll help these malnourished children survive, thrive and grow. Please join us.